The kitting foams have been designed and manufactured for a major aerospace OEM for use within their NPI department. Each foam has been designed to effectively store 6 off aerospace components. 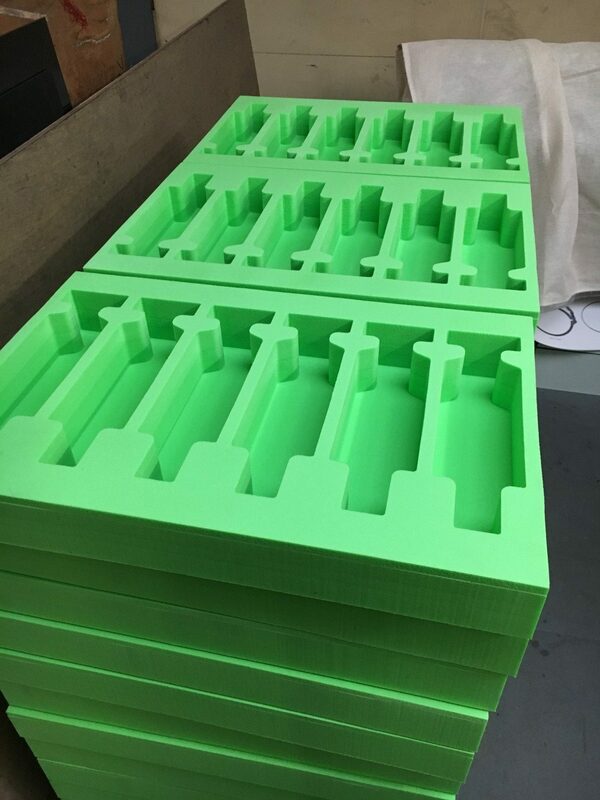 The kitting foams have be manufactured from Lime Green Plastazote LD45 foam and feature a 3mm polyethylene PE300 base to add support and allow the solution to slide onto corresponding racking. Plastazote foam is a closed cell polyethylene foam blown with nitrogen and has been chosen because its lightweight and durable. Approximate overall size- 610mm (L) x 400mm (W) x 78mm (H).